Stade de l’Aube is a multi-purpose sports venue located in the north-eastern commune of Troyes, which belongs to the Aube Department. 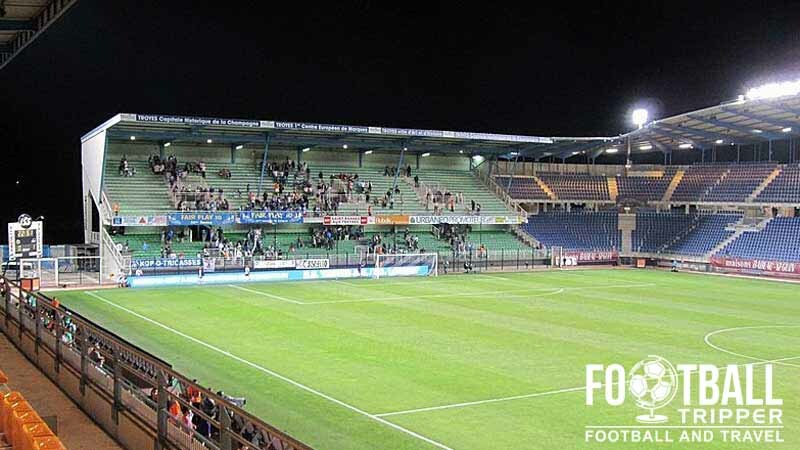 First built in 1956, the home ground of Troyes AC achieved its current capacity of 20,400 after undergoing renovation in 2004. Stade de l’Aube first opened in 1956 however the site’s usage for football matches dates back anywhere between 20-30 years depending on which historians you believe. The current 20,000 plus capacity stadium as we know it largely arrived after renovation work which occurred over a six year period between 1999 and 2004. 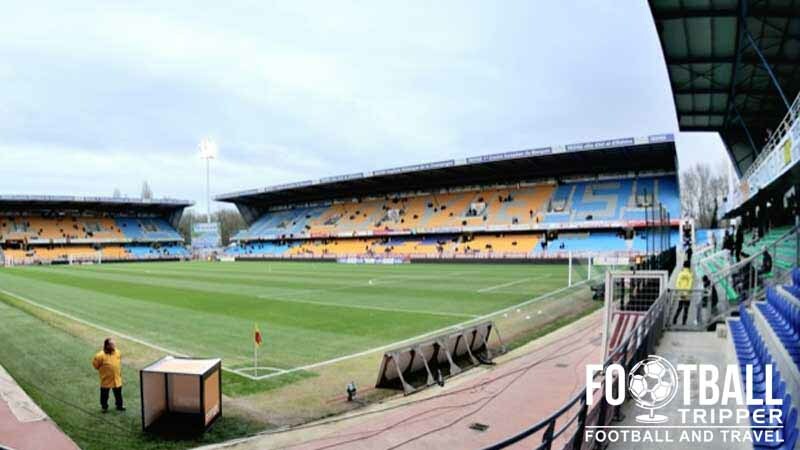 To date the record attendance of Stade de l’Aube is 20,347 which was achieved during a second division match between Troyes and Amiens SC on 18th May 2012. An end of season fixture, fans flocked to the stadium to celebrate Troye’s promotion back to Ligue 1 as they secured a third place finish behind Reims and Bastia. 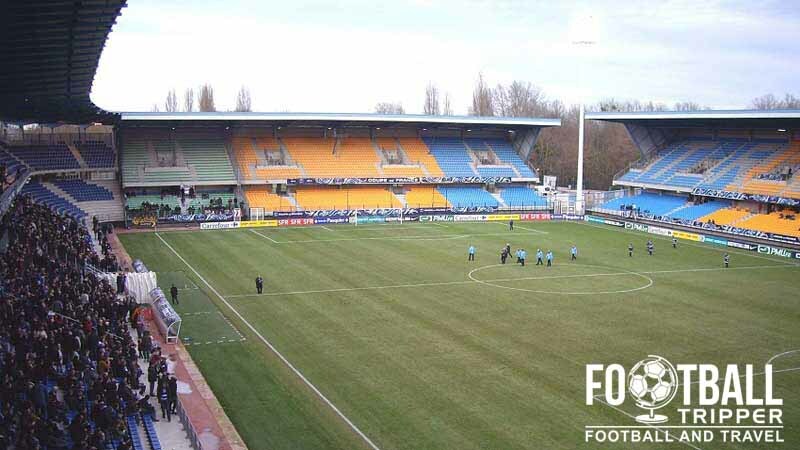 The highest level of football played Troyes Stadium has arguably been qualification matches of the UEFA Cup in the 2000/2001 season. After defeating MFK Ruzomberok, the club faced Leeds United but narrowly lost 6-5 on aggregate. Participation came on the back of winning the Intertoto Cup by defeating Newcastle United in the final after defeating Wolfsburg and AIK en-route. 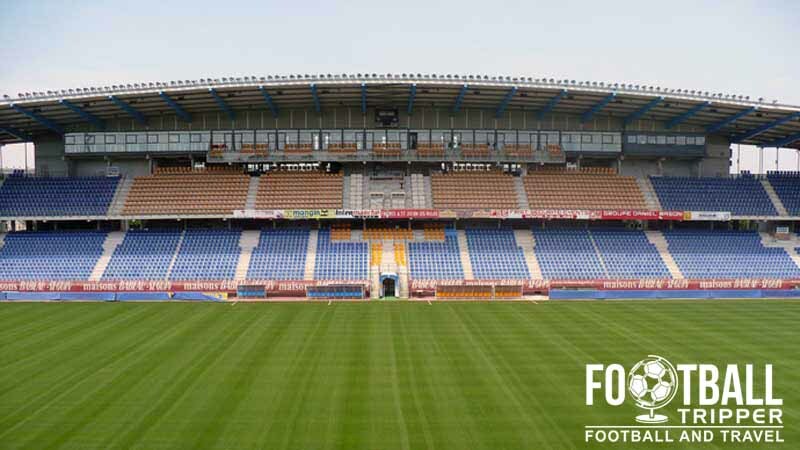 In June 2013 Stade de l’Aube became the first French football ground to incorporate a blend of artificial and natural grass which incorporates AirFibr hybrid turf technology. Thought to make the playing surface more durable, maintaining a high quality pitch can often be expensive, and thus this has been seen as a financially prudent move. 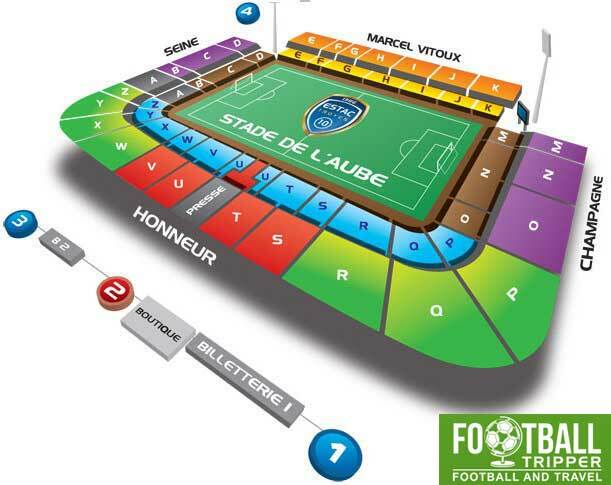 Stade de l’Aube is comprised of four stands: North, East, South and West.